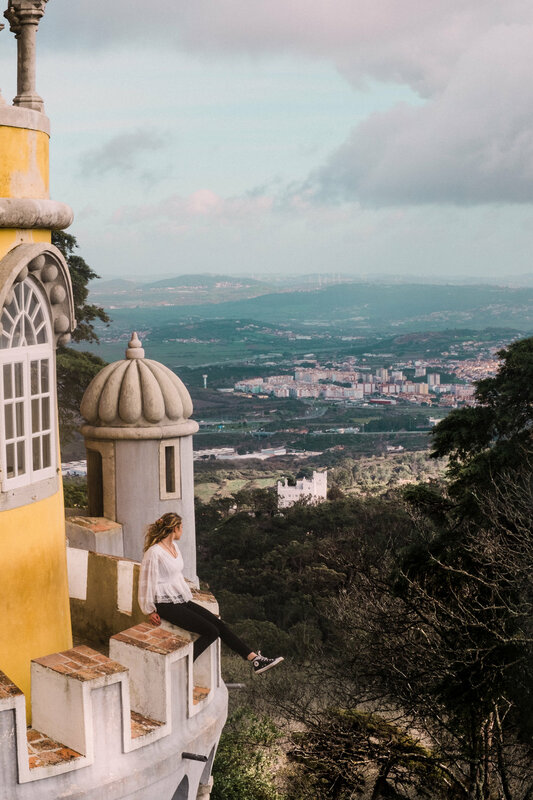 Positioned atop a mountain overlooking the city and surrounded by fantasy land gardens stands Pena Palace, a castle fit for the Queens of colors and clouds. 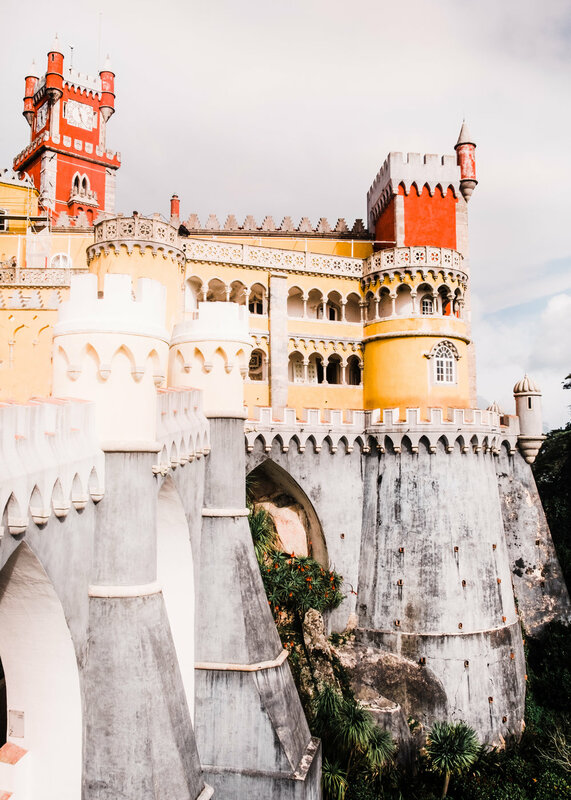 A bit of background info: Originally, Pena Palace was a monastery, housing about 18 monks, but after being severely damaged by lightning and the Great Lisbon Earthquake of 1755, it was commissioned into a summer palace for Portuguese royalty, King Ferdinand II during the 19th century. Intricate Romaniat style details, Moorish style accents and colorful tile patterns decorate the interior and exterior. 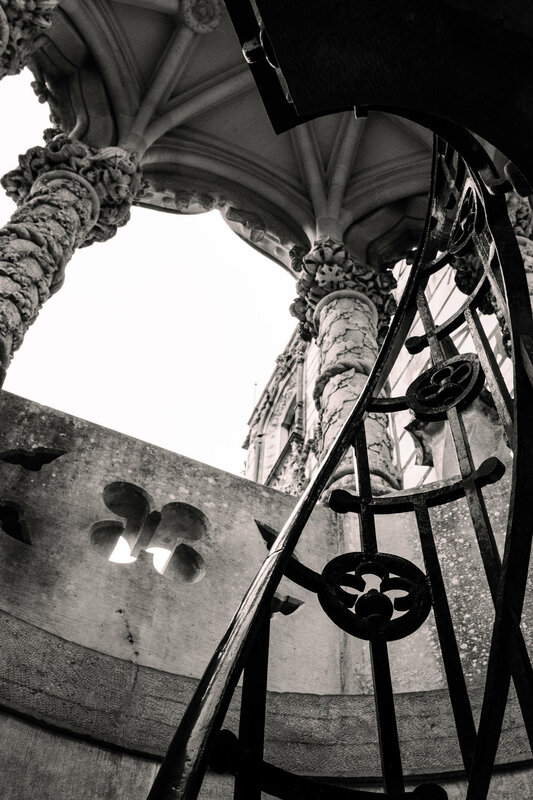 The castle includes a fantastical garden with over 500 different species of trees. This awe-inspiring castle makes one feel as if they are roaming around a Narnia land made for royalty-it is like nothing I have seen before. Perhaps that is a reason that Pena Palace was meant to be seen from every angle and is currently a UNESCO World Heritage Site and one of the Seven Wonders of Portugal..
Getting there: We made a very impulsive and last minute decision to rent a car (which I do not regret one bit), so we drove to the site and parked in the lot. This allowed us to walk from Pena Palace to the Moorish Castle. Side note on the car: Renting a car in Portugal felt worthwhile because of the freedom that was entailed. Sunlight squuezed through a canopy of green trees until the bend of the road unveiled the vastness of the ocean and having the ability to pull over to the side of a road to take photos and enjoy the view was priceless. Rennting a car in Portugal isn’t too expensive, but I recommend booking ahead of time to get the best price. If you feel indecisive about renting a car I would suggest comparing the estimated cost of ubering and busing everywhere versus the price of a rental. 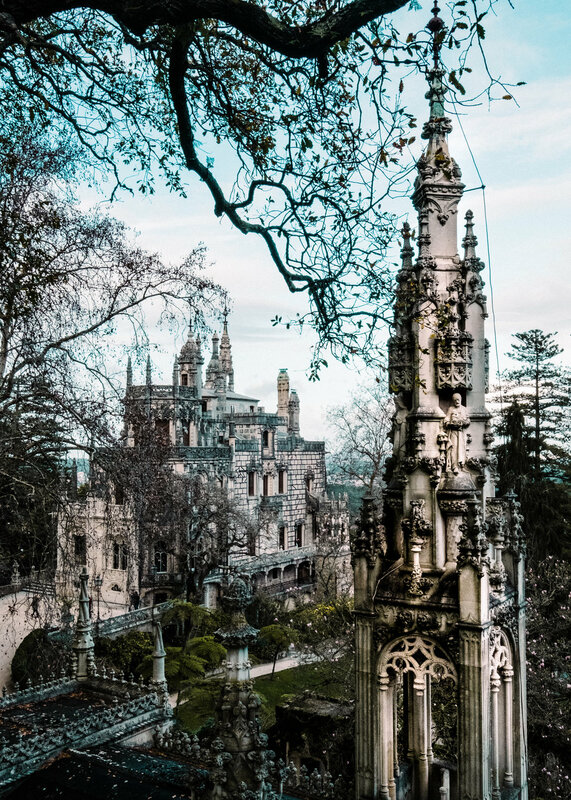 If you decide that renting a car is not your best option then no worries, you will still be able to enjoy the beauty of Sintra with public transport. 2.) People usually think that about 2 hours is good, maybe one hour for the Palace, but the gardens are not to be missed so would allow another hour for this. 3.) Wear comfortable walking shoes. 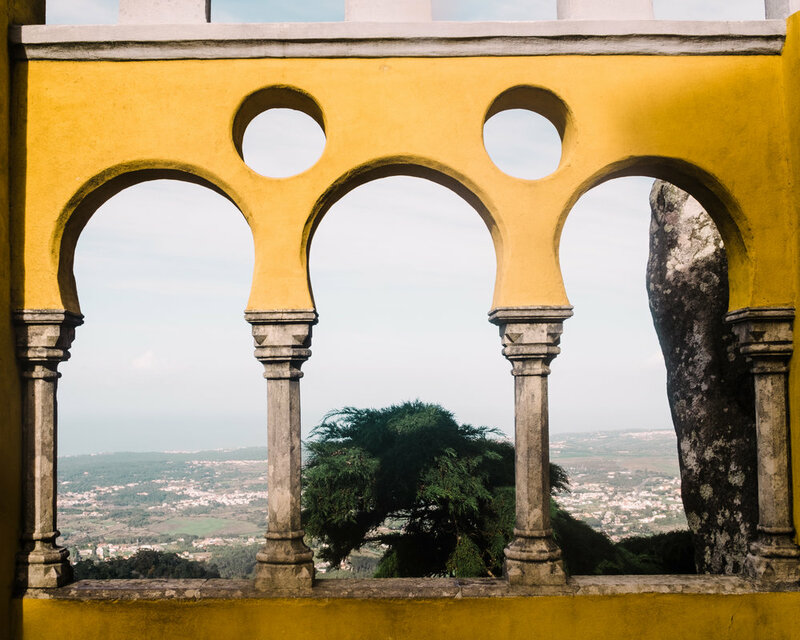 Like Lisbon, much of the sidewalks and walk areas are tiled and can be slippery in the rain, and as you will see Sintra has its own micro-climate. At one point it will be sunny and lovely, and then a cloud will roll in and it will rain for 10 minutes, and then the sun will reappear. 4.) Bring a sweater or windbreaker. It's a lot cooler and windier at the top of the castles. I had my heart set on the hike to Praia da Ursa. The promise of adventure, the rocky coasts, radiant blues, and the untouched beach felt as irresistible as the pull of gravity. The only problem was that this hike can be tricky to get to. But all good things in life require work, so I was determined to see the dreamy Praia da Ursa with my own eyes. As luck (or fate) would have it, when talking to our Air B and B host about hiking recommendations she just happened to mention this exact hike. I couldn’t belive it- this strike of good luck reminded me that everything happens for a reason. With newfound energy we laced up our hiking boots, packed up the camera gear and moments later we were on our way towards unexplainable natural beauty. 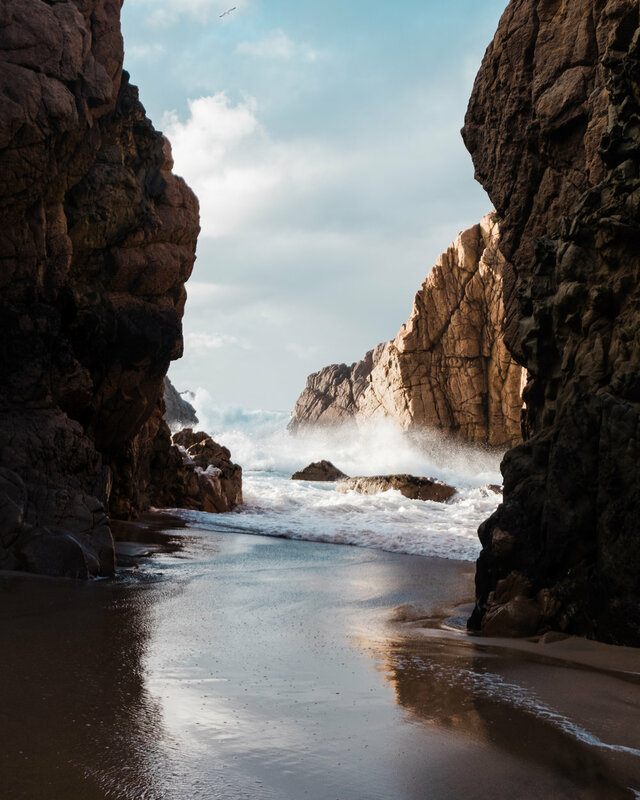 Sidenote: The hike to Praia de Ursa is beyond beautiful, but it is most definitely not recommended for those with a fear of heights (sorry, Mom). No need to worry because there is a bus that runs to the lighthouse, which offers a perfect vista of the coast. The lighthouse also happened to be our final destination, and since it was past sunset by the time we finished hiking we rode the bus back to the town. I truly do not think that any combination of words could do the scenery justice. Not even photos fully capture the moment, but I tried my best to photograph the scenery to spread the wanderlust for the coasts of Portugal. 1.) The hike to the beach begins by following a small road to a trail. You will follow the trail until it leads to rocks. You will hike up until you cannot go any higher, and from there you can choose the best route to hike down the rocks to the beach. Be prepared: the rocks are not set in stone, so use caution when climbing down. After you reach the beach and take it all in you will make your way back up towards the lighthouse. There are a few routes to get there, but as long as you keep your eyes set on reaching the lighthouse the correct path to take will be clear. Grab a snack at Piriquita- this place is well known for their pastries and the cappuccinos were just as good. 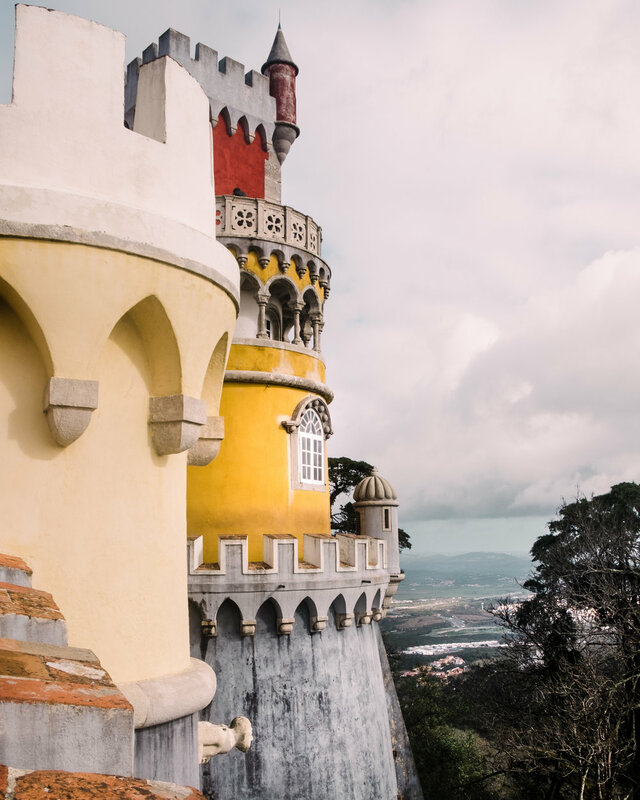 Clearly, I recommend wandering through the Pena Palace, but the Moorish Castle is not to be missed either, especially because it lies only a short walk away from the Pena Palace. Praia Grande- amazing beach that is easily accessible. We did not have time to check it out, but I have heard good things about D Bar de Funde. For food check out Nicolau Café and order the pancakes-they are incredible.